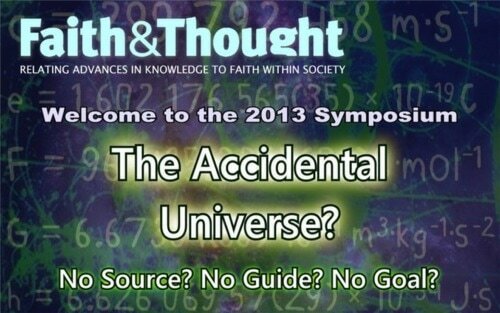 With high profile speakers including astrophysicist Rodney Holder and molecular biologist Denis Alexander, this one-day symposium looked at the implications of a robustly Atheistic narrative of the origins of the universe and intelligent life. At a time when many in society (especially the young) are taught to believe that God is dead, we looked again at whether Christian faith is in fact mortally wounded by advances in science, or whether instead, these discoveries are entirely compatible with the biblical account of a source, a guide and a goal for the universe we live in. The MP3 audio recordings can be downloaded for off-line listening and there are narrated PowerPoint videos of the talks available on Youtube as below. 1. Can a Multiverse provide the Ultimate Explanation?